What Are “DARK” Coins and How Do They Work? A phenomenon of Dark coins have recently entered the cryptocurrency space and begun to adopt the names of some of the top cryptocurrencies. BitcoinDark and EthereumDark have both sprung onto the scene and released some controversial information in their manifestos. These Dark coins represent the ideals of a faction of enthusiasts that are very loyal to the original decentralized manifesto and its associated ideals. These loyalists point to a critical piece of writing from the early 90’s that identified a need for a new form of internet that ensured privacy and security in an age of ever increasing mass communication of data. Companies can use the internet to gather unprecedented amounts of information about users without their consent or knowledge of this event even occurring. In 1993, a group of privacy enthusiasts argued that people’s security and privacy on the internet was at jeopardy due to the ever growing growth of trackers on the internet. 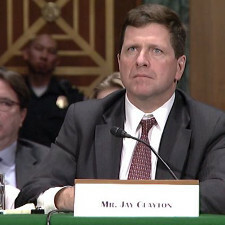 They were particularly concerned with cryptography and the difference between privacy and security. They believed privacy was having the ability selectively disclose information as it was needed for verification, and that security was keeping sensitive information completely safe and protected from scrutiny by any online presence. They cited that cryptography was essential for online privacy, and that it would allow users to be able to selectively choose who to share data and information with, and what type of info as well. Fast forward to 2018, and these technologies are now entering the mainstream via cryptocurrency and blockchain technology. 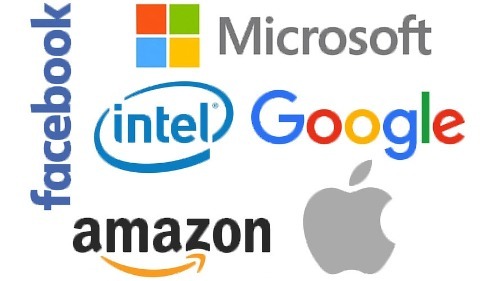 We have seen corporate giants such as Google and Facebook make hundreds of millions of dollars off of the data that its users contribute everyday, without being held accountable or even having the option of keeping any of it private. As we saw in the financial crash of 2008, our data and money cannot be trusted by a group of a few people that control millions of dollars. These loyalists believe that information and data are the stores of value for the future of the internet. This group saw cryptocurrencies as the perfect opportunity to allow for an openly auditable and anonymous, private way to transact and exchange value on the internet. Dark coins were established by this group because they believe that centralized entities have begun to wrap their hands around the crypto movement. Recent protocol updates to platforms such as Ethereum and Bitcoin have made this group think that cryptocurrencies are beginning to be steered in a more centralized and controlled manner, something they disapprove of. All of the Dark coins believe very strongly that the switch from proof of stake to proof of work involved too much corporate interests for infrastructure demands. This action has, in their eyes, created a centralized trend and reliance on a central authority. They believe sticking with proof of stake is the key to keeping the power within the community and the decision making and interests user-based. One of the defining characteristics of the Dark coins; anonymity, is a crucial function within their platforms. The believe that anonymity offers a freedom to communicate and transact with each other without the fear of oversight or governmental scrutiny. In their manifesto, they acknowledge that these anonymous transactions may be used for illicit and potentially illegal and dangerous activities. On the other hand, they believe the need to give users this freedom and maintain a decentralized community is paramount. Most currencies have struggled with speed of transactions, and BitcoinDark has integrated a real-time exchange to remedy this problem. This exchange is completely decentralized and works with both fiat and cryptocurrency of all kinds. BitcoinDark is using the Instant DEX exchange to enable users to quickly and easily exchange their currencies in real time, all without any fees or lag time due to centralized interests. BitcoinDark has acknowledged that volatility has caused many to doubt the future of cryptocurrency and point to a bubble that is bound to pop before it can grow any larger. BTCD allows users to lock their funds against real-world currencies and commodities, and stocks. When users want to withdraw their funds, they can do this at a later time based n the original value they were pegged at. In combination with the InstantDEX exchange, BTCD will operate entirely separate from the existing financial system. EthereumDark is similar in all aspects to BitcoinDark, but it simply deals in “ETHD” currency. It offers completely private transactions, as well as instant transactions with much lower fees than most other cryptocurrencies. EthereumDark has been dubbed a scam by many, but it holds true to its manifesto. There was no ICO held, all users have had a fair shot from the beginning. Also, using the PoS protocol allows users to be compensated for supporting and participating in the ecosystem. It remains to be seen whether or not this platform will become a dump-and-run scheme or a true competitor to Ethereum and Bitcoin. The key concern that the developers of BTCD hold is that human nature is beginning to corrupt and stray from the original values that cryptocurrency held. The recent updates to Ethereum and Bitcoin have improved both of their transactional speeds and scalability, but it now has a larger reliance on centrally controlled infrastructure to support this method. Their dependence on infrastructure has removed some power from the community and created a reliance on their owners. As mentioned on their website, all these creators desire is a level playing field for all participants for this new internet of value, one where the community at large that possesses a stake will continue to reap benefits and profits as it grows in scale. With BTCD and ETHD, users experience less fees, more privacy, a voice in the community, and even compensation for participation. 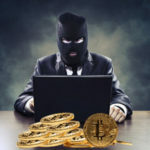 Whether or not these platforms are truly reputable remains to be seen, as many claim that they simply stole big names from cryptocurrency and called them Dark to gain a lot of funds just to eventually disappear. The Dark coins are an interesting outlet of cryptocurrency that shows just how deeply rooted into society cryptocurrency has become, and how strongly some feel that the current system is failing. What is KYC and Why Do Exchanges Require it From Users?